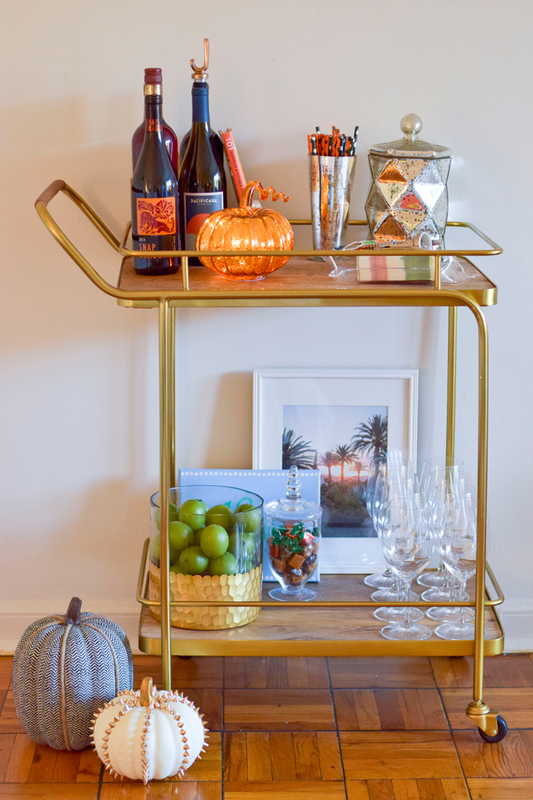 I have wanted a bar cart for years! I know, that sounds ridiculous... I've just always been fascinated by them. 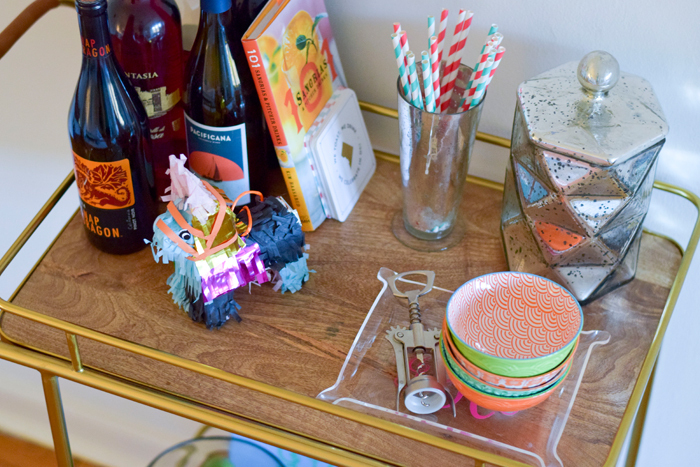 I love how you can change up the look, put your festive things on display, and have everything on hand for serving your guests. 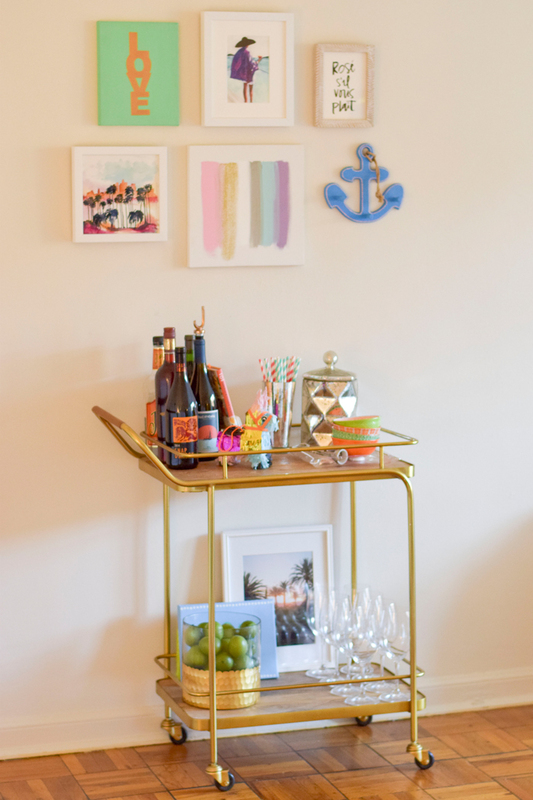 Now that I have my own space I had the perfect spot for a bar cart and a mini gallery wall! 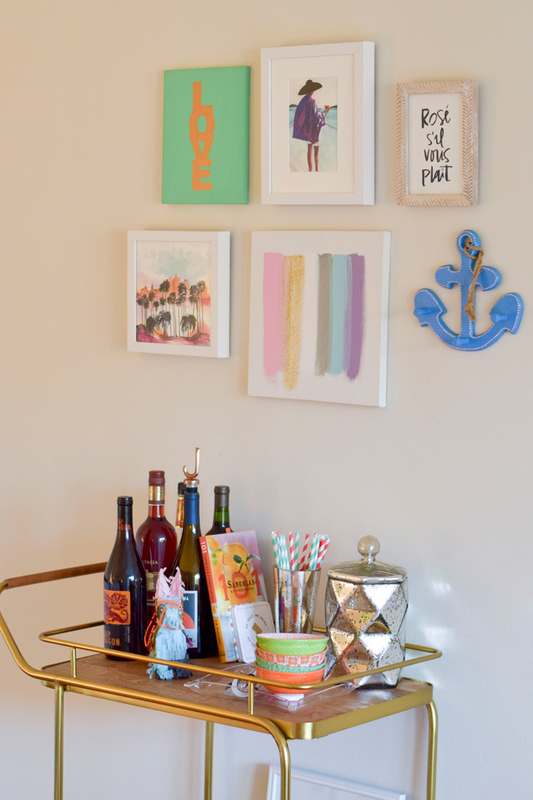 Having a collage of art was a way to anchor the bar cart to the space - so it didn't seem like it was just floating along a big white wall. 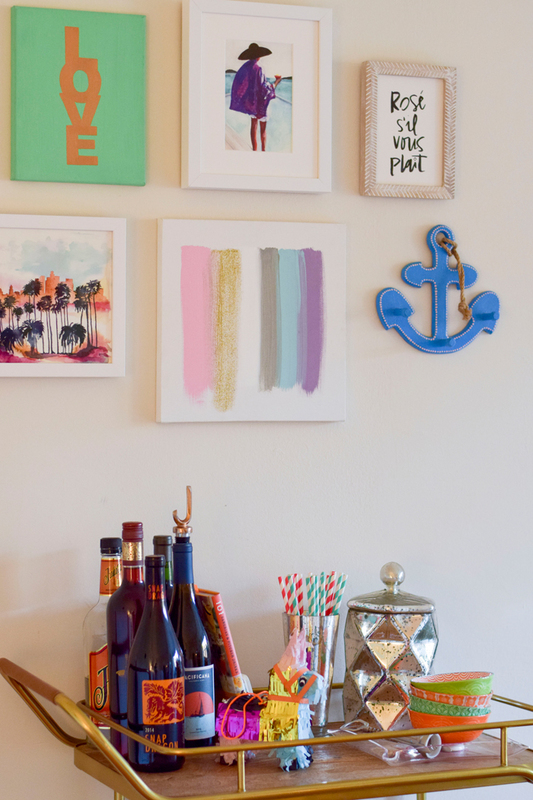 I already had two canvases that I painted and a wooden anchor (hello, blog name) and I knew that mixing in different sizes of art would create a fun look! 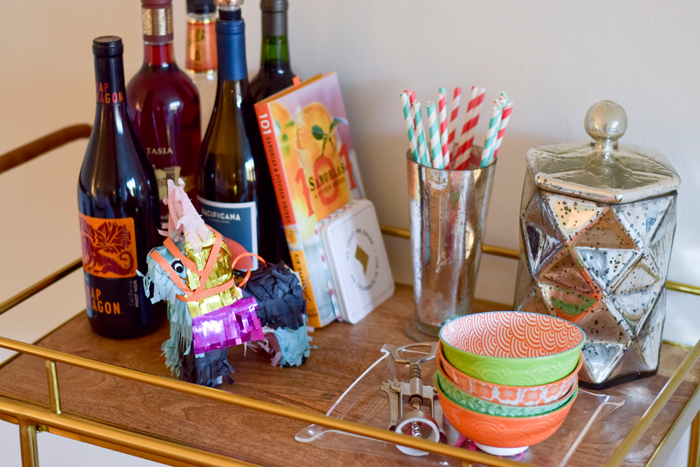 Now that Halloween and Thanksgiving are coming up I switched out a few things to make it more festive! I went on a little trip to Marshall's and Target last weekend to get out of the house and found these adorable pumpkins! I'm sure everyone will have them but I can't get enough... they'll work perfectly all Fall! 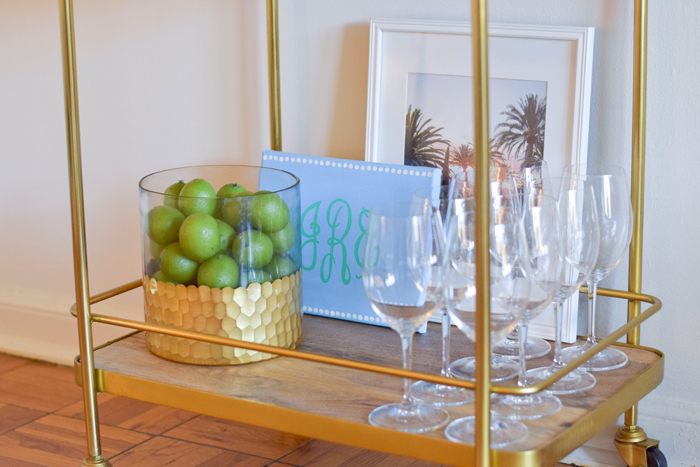 Loving your bar cart setup!! Those pumpkins are too cute! 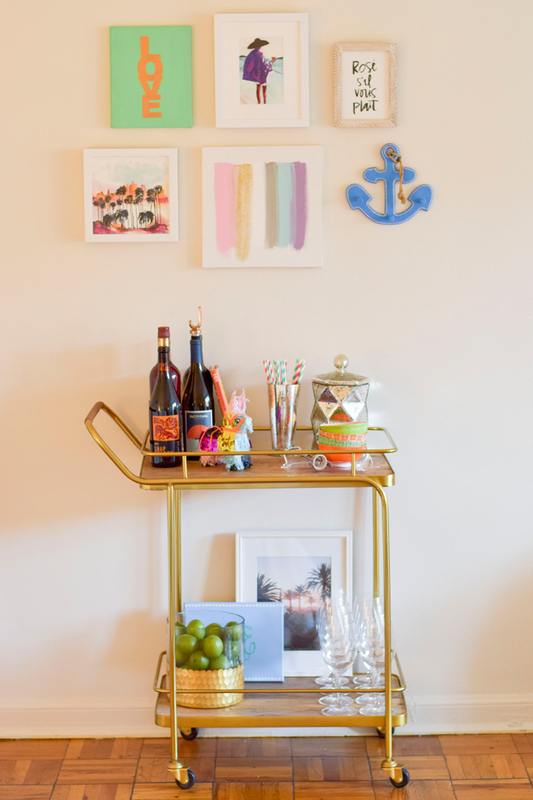 Your bar cart is absolutely adorable! 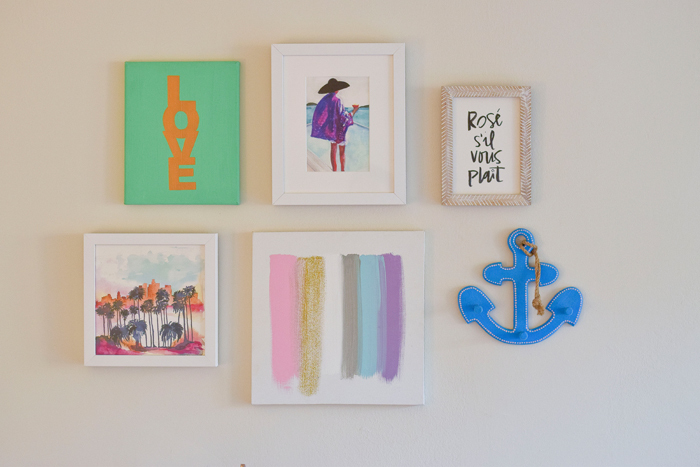 I love, love your gallery wall too (especially the brushstrokes painting! )!